The fact that my kids completely demolished the pasta dish I made on Wednesday night – pasta with roasted red pepper sauce, artichoke hearts and grilled chicken. In the past, such a combination would have elicited complaints and general “food drama”. Hubby, who just started going to yoga class with me, mentioning he wants to go early so we can “get a good spot”. Hey, maybe I’ve converted him to this yoga thing. 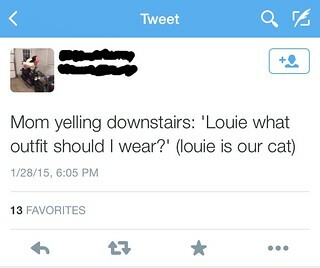 My daughter’s tweet about me: “Mom yelling downstairs: ‘Louie what outfit should I wear?’ (louie is our cat)”. 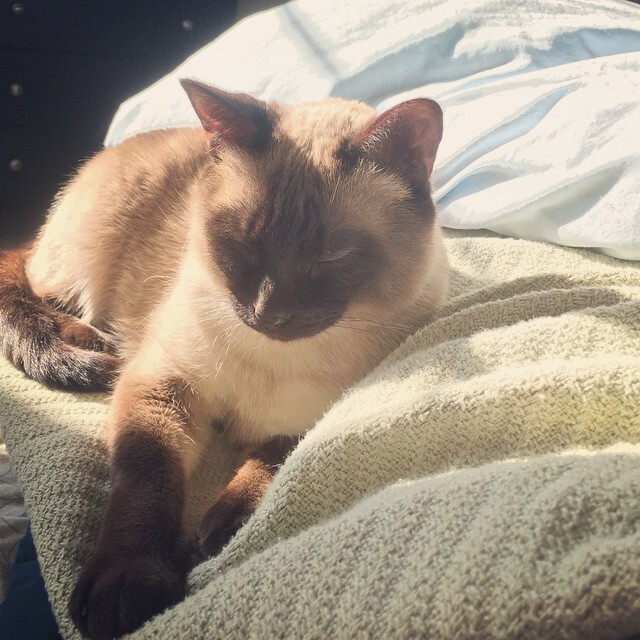 ... and make the best post-run napping partners. Hope you have a great Super Bowl Weekend! 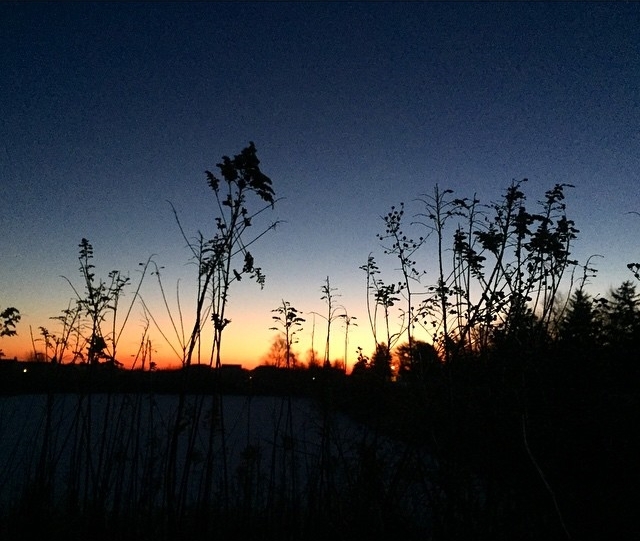 That Winter sky is gorgeous! Keep on pushing through with your photography. I'm looking forward to seeing some more of your lovely shots! If your kitty gives style advise, make an appointment for me! Ha ha! That tweet made me laugh. You know, I didn't even notice the days getting a bit longer. That's definitely something to celebrate! I figure since my cat(s) has in some way or another left his/her mark (a/k/a fur) on most if not all of my outfits, why not ask them. Probably get the same response any other member of the family would give me - "I don't know ...". Beautiful sunrise and it is our job to "creep" on our kids.